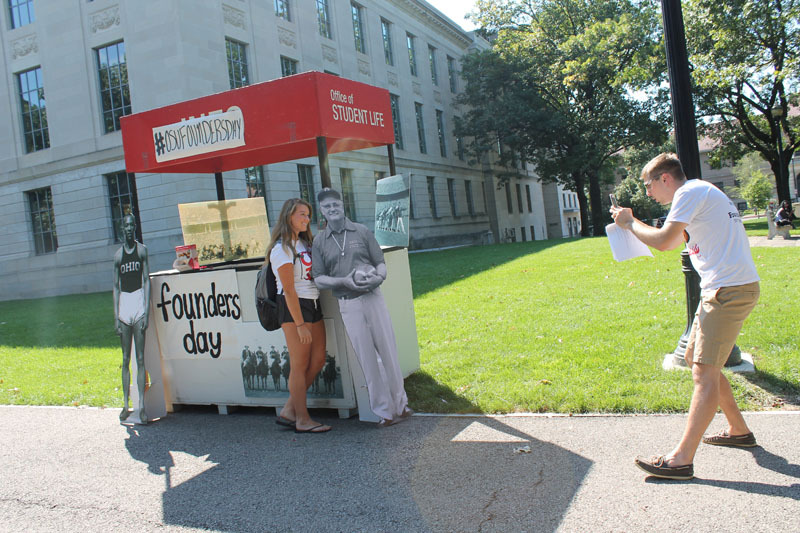 myers.1739 | Ohio Staters, Inc.
Come join Ohio Staters at any one of these committee meetings this semester! 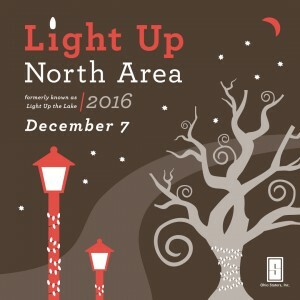 Join the Ohio State community in celebrating the holiday season on Wednesday, December 7th with an outdoor lighting ceremony in Town Square adjacent to the North Recreation Center. 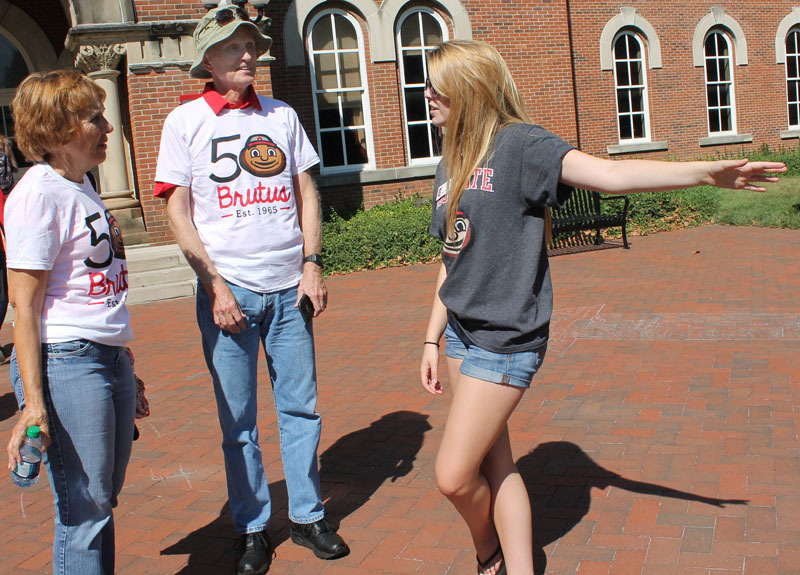 The ceremony will feature a guest speaker and performances by several student groups. 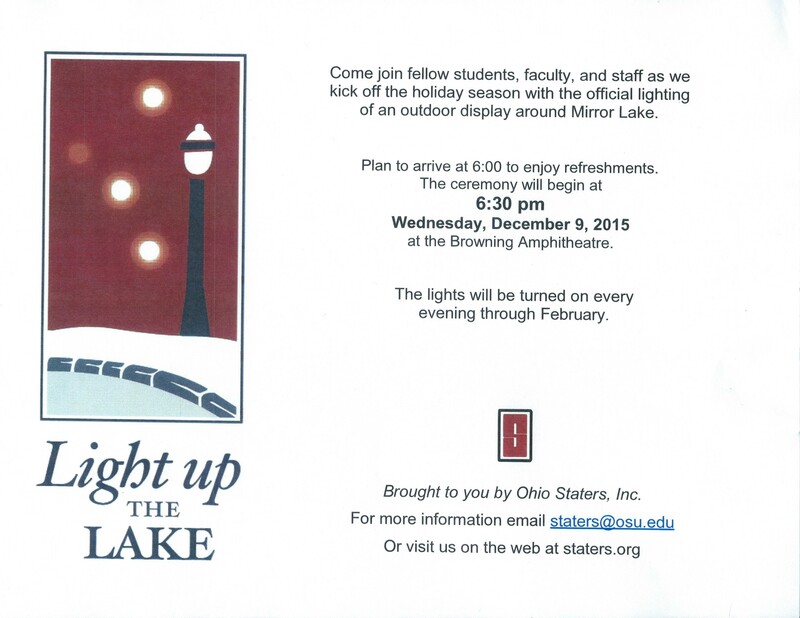 We will then assemble along the tree lined walk, and join in a candlelit rendition of Carmen Ohio. 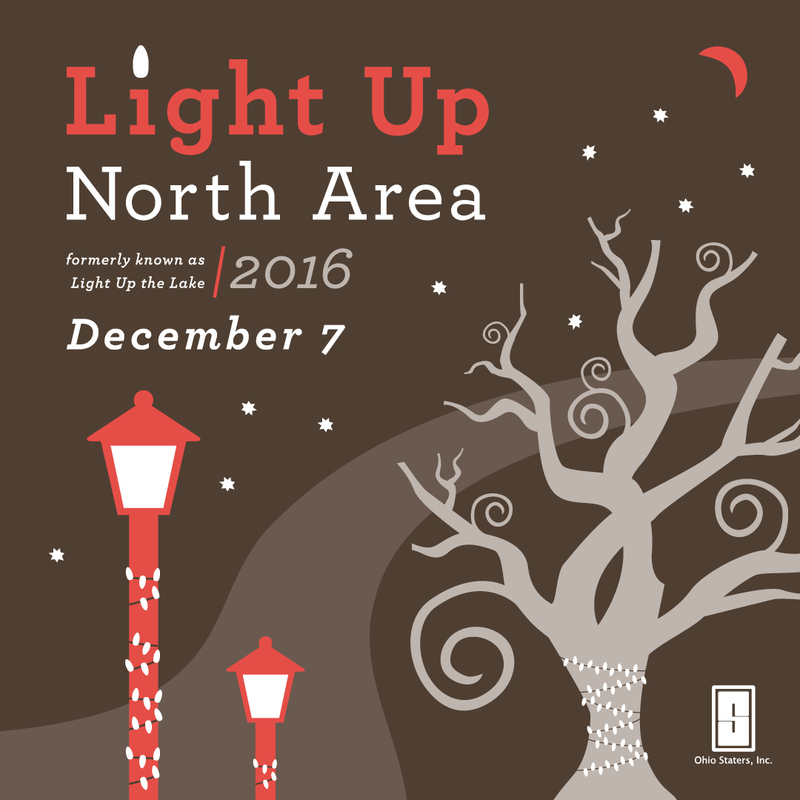 The evening will conclude with the inaugural lighting of North Area. 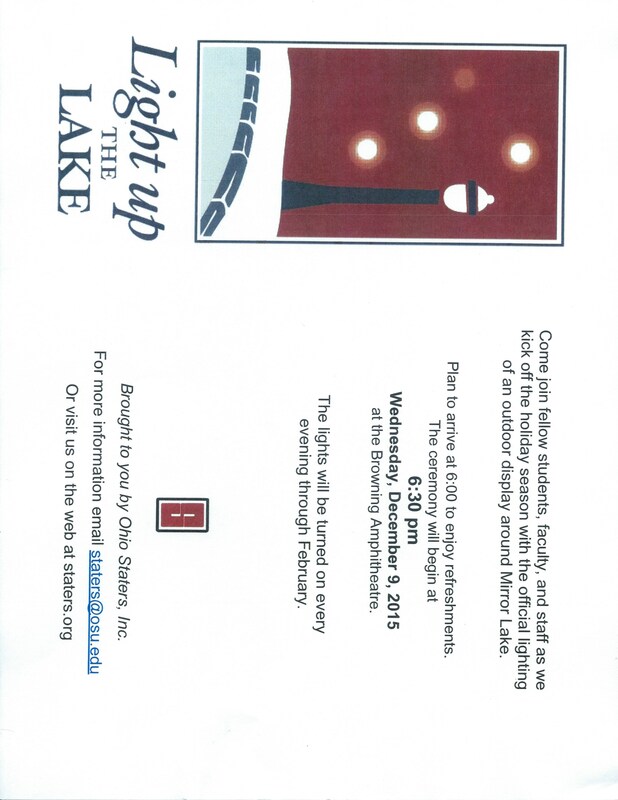 Arrive at 6pm to enjoy refreshments with the ceremony beginning promptly at 6:30pm. Come out to our recruitment Social in the University Museum at University Hall, October 3rd, from 12pm-4pm and enjoy a slice of pizza! Don’t let your bum go numb! 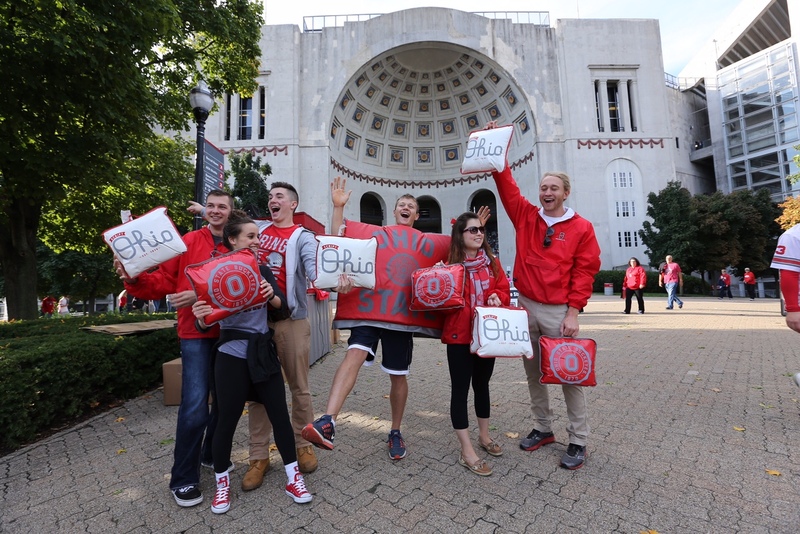 Come get your Ohio State seat cushions! 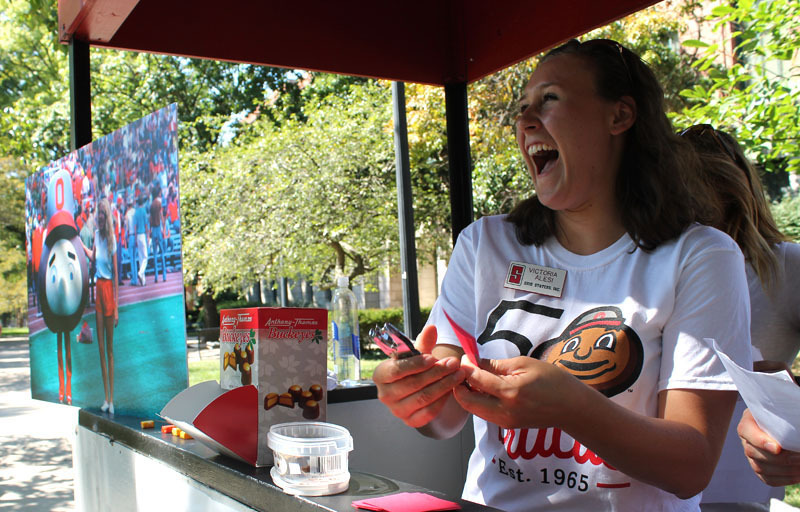 Visit Ohio Staters before every home game to get seat cushions, band CDs, rah rags, and ponchos! 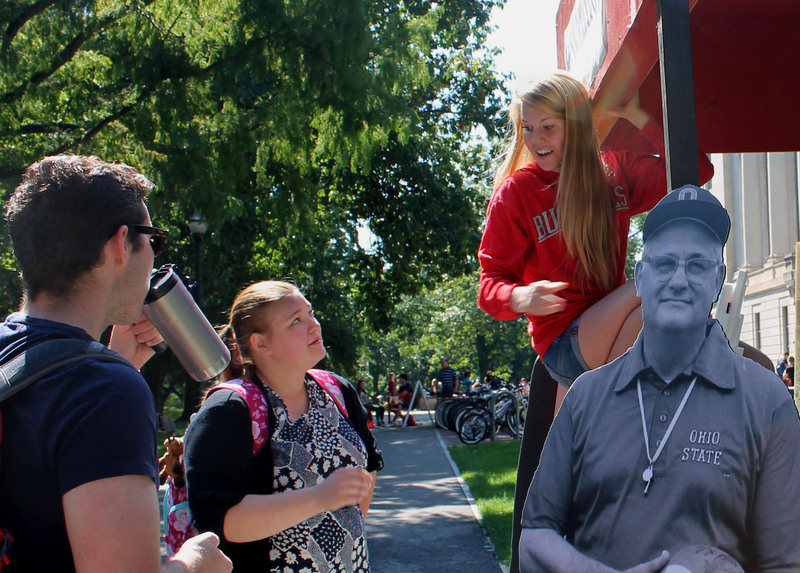 Staters will be on the oval to share trivia, refreshments, and givaways! 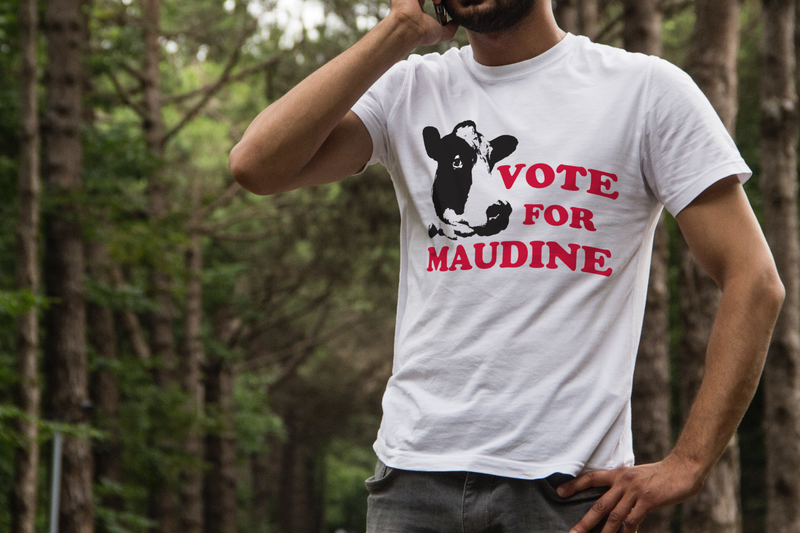 – Come enjoy the traditions of the University, and find out who Maudine the cow is! It is a new semester and we have new projects, new members and new meetings to come! Come stop by a Research & Development meeting on Mondays from 5:30pm-6:30pm, Projects meeting on Tuesdays from 7:30pm-8:30pm, or Luncheon on Thursdays from 11:30am-12:30pm! Hope to see you there! 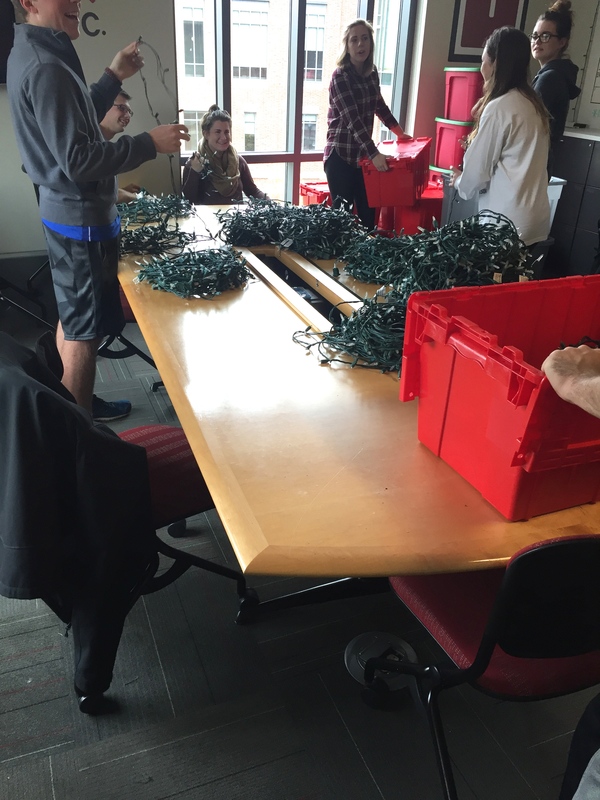 LUTL 2015 is almost here! What has OSI been up to? 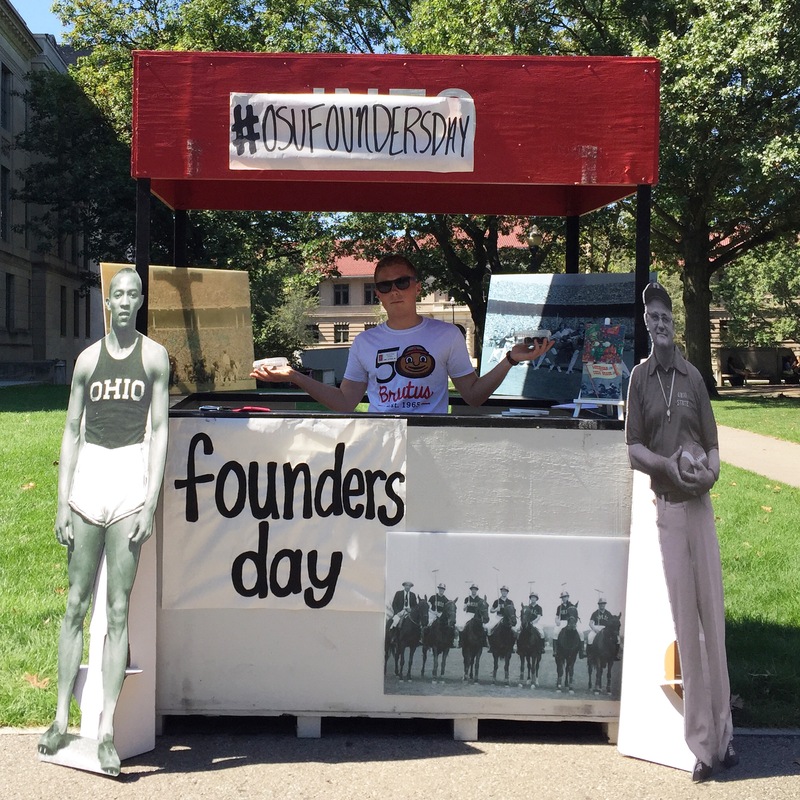 Thank you to Archives for all of their help with Founders’ Day 2015 & Lee McClory for the awesome pictures! & be on the look out for more LUTL details coming soon!